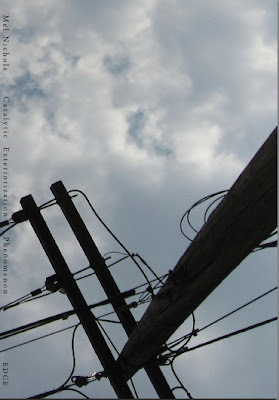 Saturday, May 2nd 8 p.m.
Leslie Bumstead is the author of Cipher/Civilian (Edge Books, 2005). 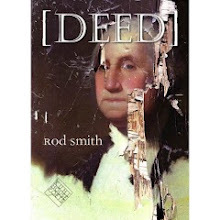 Her most recent work has appeared in New Ohio Reveiw ( /nor) & the anthology Not For Mothers Only (Fence Books, 2007). She lives in Takoma Park, MD. Heather Fuller’s works include ‘perhaps this is a rescue fantasy’ (Edge Books, 1997), Dovecote (Edge Books, 2002) & Startle Response (O Books, 2005). She is one of five poets featured on the Narrow House Recordings CD titled Women in the Avant Garde. She lives in Fullerton, Baltimore. For more FUN FACTS visit www.startleresponse.com. *Special Offer* -- get all three publications for $14, see the above link for details. Catalytic Exteriorization Phenomenon by Mel Nichols, New from Edge Books! when everything—found and unfound—gets in. Maybe not as things, but as 'as octopus/on the porch/snow/still/now/a comma/a ticket/a timetable.' Or maybe 'We are going to get serious [page break] about project management/we are going to spend a lot of money on project/management software to prove it.' Maybe we are. Maybe Mel Nichols' Catalytic Exteriorization Phenomenon is just that." Nichols is a member of the Flarf Collective. She lives in Washington, DC and teaches Digital Poetics at George Mason University. 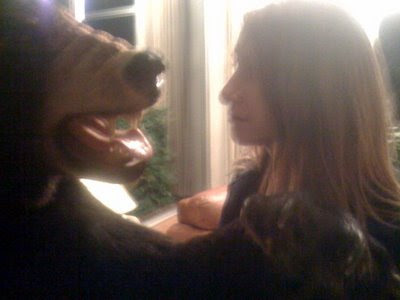 Her previous chapbooks include Day Poems (Edge), Bicycle Day (Slack Buddha), and The Beginning of Beauty, Part I: hottest new ringtones, mnichol6 (Edge). 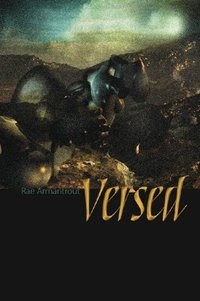 VERSED, Rae Armantrout, Wesleyan, HC 123 pgs, $22.95. "Look -- I'm cooperating! / I can pull myself apart / and still speak"
THE LETTERS OF SAMUEL BECKETT 1929-1940, ed Fehsenfeld & Overbeck, Cambridge, 782 pgs, HC $50. "My dear Tom / The discrepancy between mind and body is terrible." HEGEMONIC LOVE POTION, Jules Boykoff, Factory School, 104 pgs, $15. "Do cops hate puppets?" THE BOOK OF FRANK, C.A. 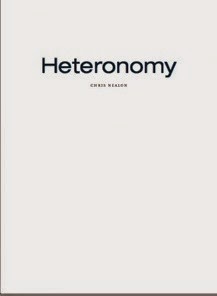 Conrad, Chax, 150 pgs, $16. "they waited to see what Frank would do"
THE CAVE, Clark Coolidge & Bernadette Mayer, Adventures in Poetry, 70 pgs, $16. "He tells us techniques are disappointed now. Six men in plastic." BODY LANGUAGE, Mark Cunningham, Tarpaulin Sky, 120 pgs, $14. "Regeneration? It comes and goes." REASON, FAITH, AND REVOLUTION: REFLECTIONS ON THE GOD DEBATE, Terry Eagleton, Yale, HC 185 pgs, $25. "Knowledge is simply one moment or aspect of our bodily collusion in reality, a moment which modernity falsely abstracts and enshrines." THE WINTER SUN: NOTES ON A VOCATION, Fanny Howe, Graywolf, 198 pgs, $15. "My father worked for social justice and was eviscerated." WE SAW THE LIGHT: CONVERSATIONS BETWEEN THE NEW AMERICAN CINEMA AND POETRY, Daniel Kane, U Iowa, 270 pgs, HC $39.95. Writers and filmmakers discussed include: Anger, Duncan, Creeley, Brakhage, O'Hara, Leslie, Ginsberg, Chaplin, Frank, Warhol, Malanga, Ashbery, Burckhardt, Jarnot, & Reeves. CENSORY IMPULSE, Erica Kaufman, Factory School, 94 pgs, $15. "time for total reconstruction"
POETRY STATE FOREST, Bernadette Mayer, New Directions, 196 pgs, $17.95. "oops, we're in orono!" APOCRYPHAL LORCA: TRANSLATION, PARODY, KITSCH, Jonathan Mayhew, U Chicago, HC 222 pgs, $45. An exploration of Lorca's afterlife in U.S. poetic cultures. Includes examinations of the Lorca in/of Hughes, Blackburn, Creeley, Spicer, O'Hara, Duncan, Koch, Rothenberg, and others. LOVE LESSONS: SELECTED POEMS OF ALDA MERINI, trans Susan Stewart, cloth 130 pgs, $19.95. "There are nights/ that never/ happen." GIRL SCOUT NATION, Yedda Morrison, Displaced Press, $12.99. "Maybe body?" HEARTH, Simon Pettet, Talisman House, 178 pgs, $17.95. NICE WORK IF YOU CAN GET IT: LIFE AND LABOR IN PRECARIOUS TIMES, Andrew Ross, NYU, HC 264 pgs, $27.95. THE COLLECTED POEMS OF JACK SPICER, ed Peter Gizzi and Kevin Killian, Wesleyan, HC 465 PGS, $35. SAGA/CIRCUS, Lyn Hejinian, Omnidawn, 150 pgs, $15.95. RADICAL VERNACULAR: LORRINE NIEDECKER AND THE POETICS OF PLACE, ed Elizabeth Willis, Iowa, cloth 308 pgs, $39.95. THE ALPHABET, Ron Silliman, U Alabama, 1062 pgs, $39.95. COLLAPSIBLE POETICS THEATER, Rodrigo Toscano, Fence, 160 pgs, $19. THE GOLDEN AGE OF PARAPHERNALIA, Kevin Davies, Edge, 146 pgs, $15. 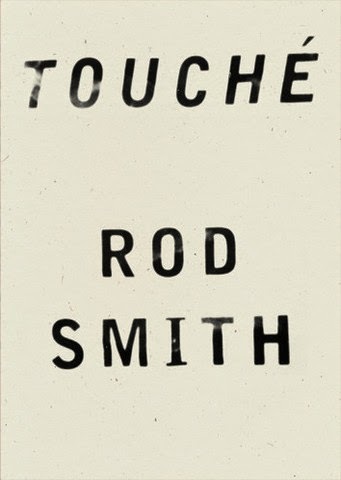 HUGHSON'S TAVERN, Fred Moten, Leon Works, 88 pgs, $15.95. ADORNO'S NOISE, Carla Harryman, Essay Press, 182 pgs, $14.95. PICTURE PALACE, Stephanie Young, 114 pgs, ingrimmus, $15. BICYCLE DAY, Mel Nichols, Slack Buddha, 32 pgs, $6. CENSORY IMPULSE, Erica Kaufman, Farfalla, 50 pgs, $10. 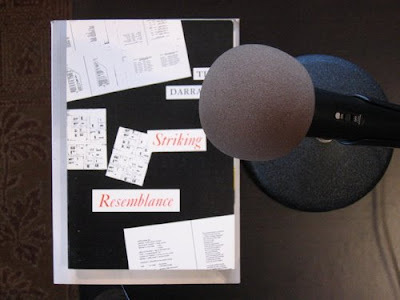 50 YEARS OF RECUPERATION OF THE SITUATIONIST INTERNATIONAL, McKenzie Wark, cloth 78 pgs, 30 color illustations, $24.95. MAXIMUM GAGA, Laura Glenum, Action, 112 pgs, $16. THE OUTERNATIONALE, Peter Gizzi, Wesleyan, 111 pgs, $13.95. THE LETTERS OF ALLEN GINSBERG, Allen Ginsberg, ed Bill Morgan,$30. SICK PLANET, Guy Debord, trans Nicholson-Smith, Seagull, 94 pgs, $16.95. GRAVE OF LIGHT: NEW AND SELECTED POEMS, Alice Notley, Wesleyan, 366 pgs, $22.95. NTERVIEW WITH ROBERT CREELEY MAY 1998, interview by Brent Cunningham, Hooke Press, 28 pgs, $10. 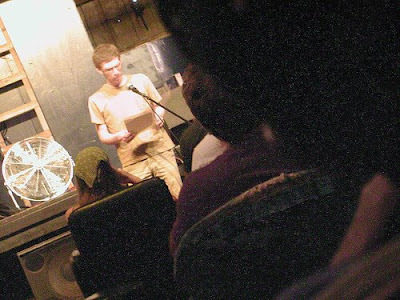 Written up: Rob Halpern/Ryan Walker reading last month. Bridge Street Books is located at 2814 Pennsylvania Ave NW-- 5 blocks from Foggy Bottom Metro, next to Four Seasons in Georgetown. Phone 202 965 5200. Please join us Friday April 10th @ Bridge Street Books for a reading by Aaron Kunin & Tina Darragh. Tina Darragh lives in Greenbelt, Md. Her books include on the corner to off the corner, Striking Resemblance, a(gain)2 st the odds, adv. fans - the 1968 series, and Dream Rim Instructions. Her work has been included in numerous anthologies, including the seminal "Language"-oriented anthology, In the American Tree(edited by Ron Silliman). Aaron Kunin is a poet, critic, and novelist. He is the author of a collection of small poems about shame, Folding Ruler Star (Fence Books); a chapbook, Secret Architecture (Braincase); and a novel, The Mandarin (Fence). He lives in California and is assistant professor of negative anthropology at Pomona College. Melanie Neilson is the author of three books of poetry, including: Natural Facts, (Potes and Poets, 1997); and Civil Noir (Roof Books, 1991), and two unpublished collections, Minor to Major (2007), and Magnanimous Horizon (2009). Jessica Grim’s books include Vexed (online from ubu editions, 2002) which has just been published in print by BlazeVox, Fray (O Books, 1998), Locale (Potes & Poets Press, 1995), and The Inveterate Life (O Books, 1990). Recent work appears in Primary Writing, Exchange Values, and OCHO. She lives with her family in Oberlin, Ohio, where she’s a librarian at the college.